Flower washi tape is a easy to use embellishment. 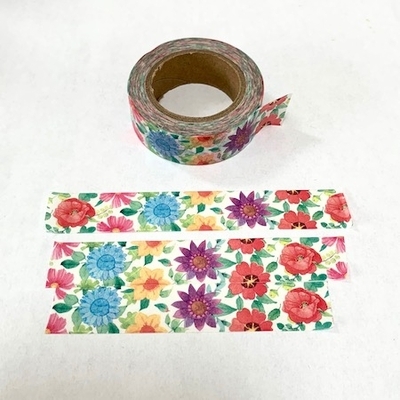 Flower washi tape can be used in scrapbooks and card making. 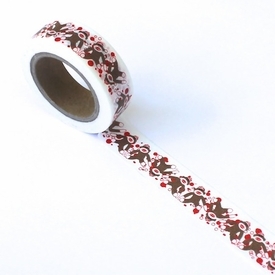 Eyelet Outlet flower washi tape is perfect for planners. Decorate planner pages with washi tape for a quick colorful design. 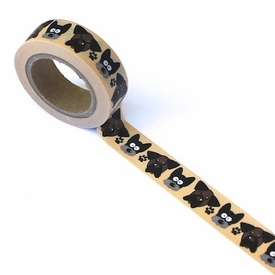 Washi tape can be used to wrap packages instead of plain clear tape. 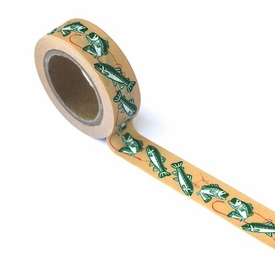 Washi tape can decorate pencils, frames, books, there are dozens of washi tape ideas in our idea gallery. Layer washi tape to use as a backround in scrapbooks. 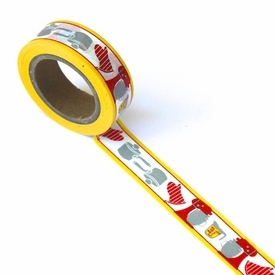 Be sure to visit our idea gallery for many designs done with washi tape.